DEN primary schools took part in the Penrith Swimming Club schools’ annual gala. The gala is organised by the club as an opportunity for local schoolchildren to take part in a competitive swimming event in a fun and relaxed environment. They compete both against pupils from schools of a similar size and for an overall trophy. Lazonby won the trophy for small schools, with Yanwath winning the medium schools’ trophy after some exciting races with Penrith’s Hunter Hall School. The large schools’ trophy was won by Stainton, who also scooped the overall title after an impressive performance by the whole squad. Pupils from Penrith’s North Lakes School also competed for their own trophy, the Wilson Cup, and this was won by Milly Ford. The Dixon Shield, which is a race for Beaconside School pupils, was won by Zoe Hullock. The Thompson Memorial Shield, which is a team relay race for all schools, was won in an exciting final by Emily Guthrie, George Guthrie and Kes Fountain, from Stainton school. The whole event was a credit to all the schools who turned out on a Saturday to participate in a fun, friendly, supportive and sporting gala. 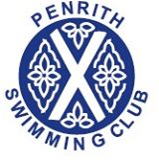 Penrith Swimming Club takes children from age four, from learning to swim through to competitive events. Anyone interested is invited to go down to the pool at Penrith Leisure Centre on Wednesdays from 6-15pm to have a chat. Members of Stainton Primary School‚Äôs swimming team and the three trophies they won at the Penrith Swimming Club gala.